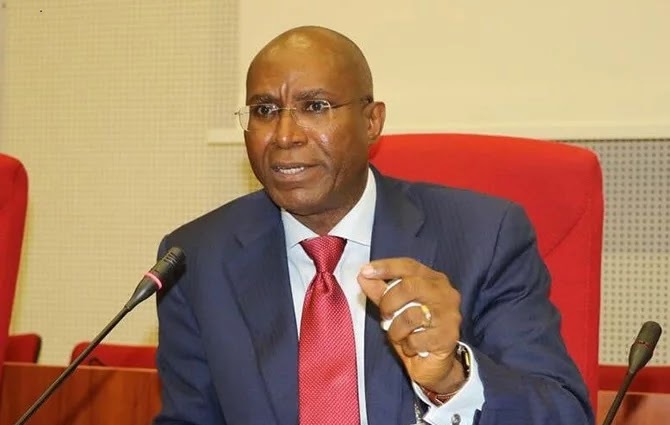 The Senator representing Delta Central district in the National Assembly, Ovie Omo-Agege, has reacted to the invasion of the Senate Chambers by suspected hoodlums. We earlier reported that the Senate Chamber was invaded earlier today by some persons who made away with the mace. Shortly after the mace was stolen, the Senate accused Senator Ovie Omo-Agege of sending thugs to steal the mace. A statement signed by his lawyer, Lucky Ajokperniovo, said that he only went to the Red Chamber on Wednesday, April 18 to resume work and sit for plenary, adding that he was only invited by the police to speak on his perspective and has been released. The statement reads: “We are aware of several media reports suggesting that Senator Omo-Agege personally removed or encouraged anyone to remove the Mace of the Senate. This weighty allegation is not true at all. “Without any investigation, Senator Sabi willfully, deliberately and unfairly made very serious allegations against Senator Omo-Agege on the Mace incident. “We are carefully studying Senator Sabi’s allegations to ascertain their full ramifications. Appropriate responses will follow, as may be necessary,” he said.